While chartering a motorboat don’t forget to consider the possibility of trying water sports. From paddle boarding and snorkeling to wakeboarding and waterskiing, the water activities available when renting a boat are both fun and beneficial to your health. Paddle boards, since they do not require waves or motors to run, are easy to master and safe. Paddle boarding is popular with both adults and children as a fun fitness activity. Stand-up paddle boarding provides a low-impact workout that will build balance, endurance, and strength. One can control how many calories he or she will burn depending on the activities done on paddleboards: racing and surfing are the most intensive ways to burn calories, while yoga and slow casual paddle-boarding are more leisurely. 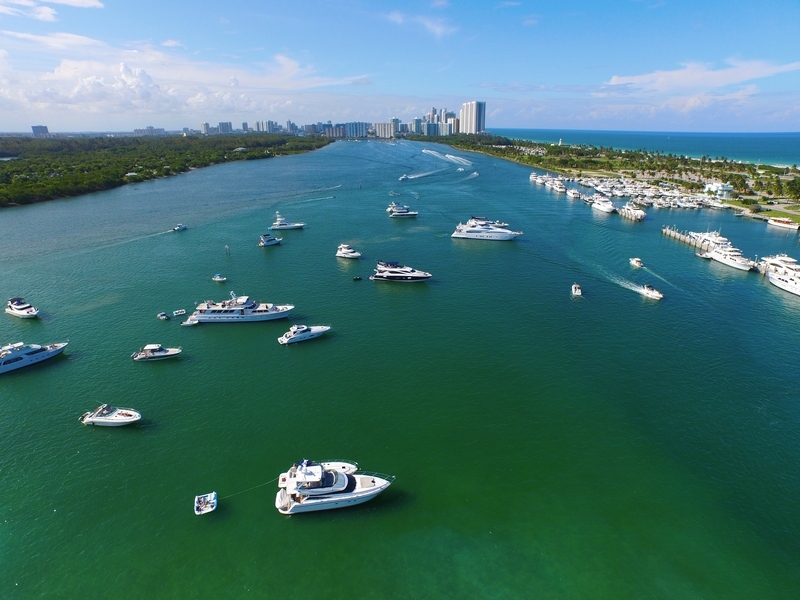 It is a great activity to try when your boat rental is docked or anchored, especially if you happen to be in the warm shallow waters of the sandbar in Miami. Wakeboarding and waterskiing are some of the most exhilarating water sports out there. Perfect for all of us wishing we could walk on water, getting on a wakeboard or water skis will come pretty close. For those unfamiliar with wakeboarding or waterskiing, both sports consist of being towed behind a motorboat either on a board or on water skis. Beginners tend to use a shorter rope to make it easier to get up on the water. Whenever someone is wakeboarding or waterskiing, spotters are always available to help alert the driver of other boats in the area or of possible objects in the path of the person riding. On Sailo, to find out if a boat has wakeboarding or waterskiing, filter by water sports and look under the listed activities of the amenities section. Perhaps one of the most popular water activities, tubing involves sitting or lying on an inflatable tube as it is towed by a motorboat. Just like wakeboarding and waterskiing, when a boat is towing you at speeds over 25 mph, it is always important to take necessary safety precautions: always wearing a life vest, ensuring there is always a spotter present in addition to the driver, turning off the motor when retrieving fallen passengers (with the motor off there is no risk of being hit by the propellers), driving responsibly if captaining the boat, etc. Maybe you prefer something a little slower paced where you get to explore the sea life around you. Try snorkeling or scuba diving! Check out some of our destination pages for snorkeling and other boating ideas in Bimini, The Bahamas, British Virgin Islands, US Virgin Islands, and Key West. Enjoy swimming with unique fish in beautiful, clear waters. 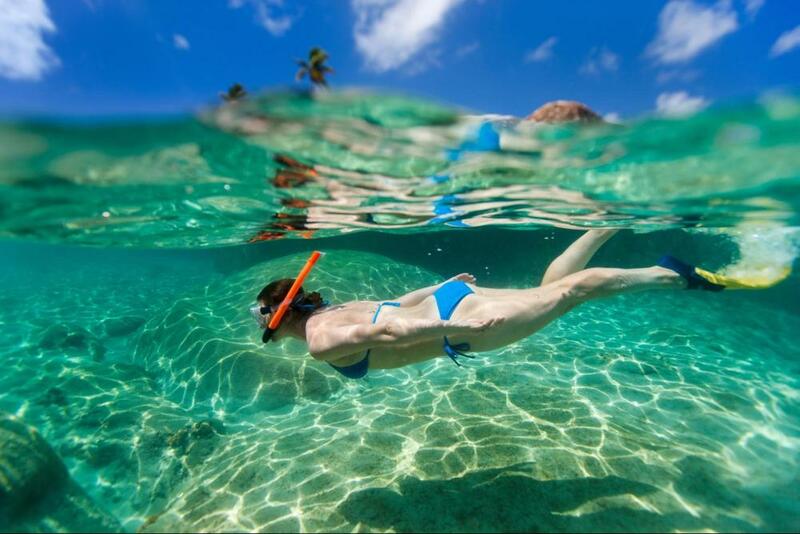 Snorkeling is a fairly easy sport that all members of the family can partake in, even those who are not great swimmers can wear life jackets or floatation devices while observing fish in the area. Scuba diving takes snorkeling to the next level. With scuba you are fully submerged in the water, using an oxygen tank to maximize your time and depth while underwater. Scuba requires certification before you can go out and make your first dive. Typically this involves a pool or confined water session, short dives with your instructor, and possibly reading or homework. The process is worth it to be able to dive in some of the most beautiful waters of the world. While not technically a sport per se, water inflatables provide some incredible fun while out on the water. From inflatable rock walls, yacht water slides, floating trampolines, and rafts big enough for all your friends, water inflatables add enjoyment, sometimes even a work out, to any boat charter. Check out some of our motorboats and catamarans in the Bahamas, Puerto Rico, the British Virgin Islands, and the Florida Keys, all of which have extensive options perfect for water sports.